In the 1960's, the CIA enlists the help of a young Charles Xavier (James McAvoy) and Eric Lensherr (Michael Fassbender) to recruit mutants for a special mission. They must track down the Hellfire Club, a group of mutants led by Sebastian Shaw (Kevin Bacon), who are working on a plan to drive the US and Russia into all-out nuclear war. After the poor critical and fan reception of "X-Men: The Last Stand" and "X-Men Origins: Wolverine," Fox had to do something to regain the trust of its fans when it came to their flagship mutant franchise. They decided that a prequel/soft reboot was the way to go, and so, "X-Men: First Class" was born. Director Matthew Vaughn, who was originally supposed to direct "X-Men: The Last Stand," finally gets his shot to show what he could do and potentially what could have been many years prior. Set in the early 1960's, the X-Men are thrust into a Cold War storyline that offers up a little bit of alternate history regarding what really happened during the Cuban Missile Crisis. Kevin Bacon stars as Sebastian Shaw, a former Nazi scientist who now leads a group called the Hellfire Club, which is comprised of Emma Frost, played by January Jones, who can turn herself into diamonds; Azazel, played by Jason Flemyng, who can teleport; and Riptide, played by Alex Gonzalez, who can make tornadoes. 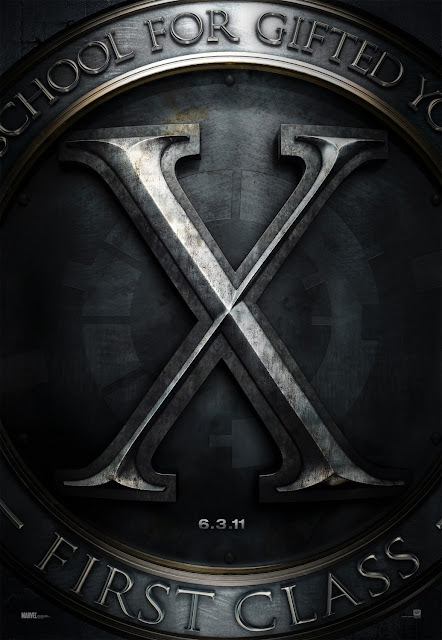 When CIA agent Moira MacTaggert, played by Rose Byrne, learns of the existence of mutants, she seeks out the foremost expert on them, Charles Xavier, now played by the perfectly cast, wonderful James McAvoy, who is a mutant himself, as is his companion Raven, played here by Jennifer Lawrence. Moira brings these mutants to the CIA to help fight the Hellfire Club. They recruit Eric Lensherr, played in this film by the menacing, stoic Michael Fassbender, who has an existing grudge against Shaw due to some suuuuper messed up happenings in his past. Together, the entire crew seeks out many more mutants to join in the fight. We must say, Matthew Vaughn did an excellent job with this installment. We really, really like "X-Men: First Class" and the way it integrates an entire new outlook and arena for these beloved characters. Vaughn has really made a name for himself as of late, and this movie restored new life to the X-Men franchise as a whole, though you may not know it considering this movie has the lowest domestic box office of all the X-Men films. This one was punished for the sins of those that came before it. Ahhh, the fickle movie-going public. It wouldn't be until "X-Men: Days of Future Past" that we could fully understand the positive effect this movie had. This movie has it all, from some really great dialogue, a lot of excellent action sequences, and top-notch special effects to superb acting from tons of high caliber actors, a well constructed story, a few well placed laughs, and some gripping, solid drama. For once, we found ourselves not tiring of what the X-Men have always been fighting for, and that's mutant rights. What used to be a stale, tiresome and recycled plot line has now been reinvigorated by a very capable director and some new, fresh writers. The theme of tolerance is somehow more impactful here, maybe all it took was the derailing of the entire franchise to get us interested in it again. Either way, we're sure glad Vaughn and company went the route they did, because, barring a couple of odd casting choices and a couple of slower moments, "X-Men: First Class" is a damn fine film. Well done! To see our review of "X2: X-Men United," click here.